Jonathan Rouse began his legal career practicing Real Estate and Estate Planning law with Rouse & Rouse Attorneys, a practice with over 50 years of commitment to service in central Kentucky. 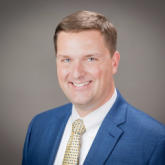 After joining the practice as a partner, he has expanded the scope of Rouse & Rouse to offer Special Needs, Medicaid, and Veteran’s Benefits planning. The inclusion of these services has allowed him to draw not only his legal experience and education, but also on his previous experiences as a licensed social worker. As part of his dedication to working with seniors and their families, he works directly with his clients to learn not only about their concerns that bring them to his office, but their personal and family experiences. This holistic understanding of clients and their families is key to providing complete and integrated legal services that address both the immediate and future needs of his clients. Key to Jonathan’s success is his direct involvement in the entire process from initial intake through the planning and maintenance services his office provides. When you contact his office, you will speak directly with him and he will represent you personally rather than your case being transferred to another attorney or support staff. His goal is to personally attend to you and your family’s needs.